Download Hug Day 2019 stickers, wallpapers, images and photos for WhatsApp, Facebook and Instagram for Lovers to wish Happy Hug Day: Every year hug day is celebrated on 12th of February. Greet your lover, boyfriend, girlfriend, husband or wife by sending these GIF images, hd photos, hug day pictures. After the rose day on 7th of February, Propose day on 8th of February, Chocolate day on 9th of February, Teddy Day on 10th of February, Promise day on 11th of February, now its time for the Hug day. 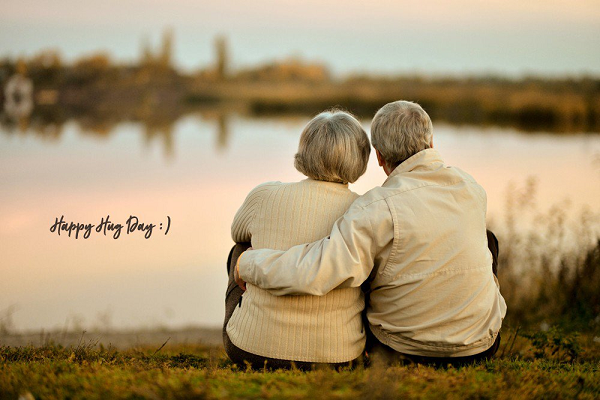 Hug day is celebrated every year on 12th of February. This day is a symbol of physical bond between lovers as on this day people with their pure feeling and emotions hug their partner and make them feel relaxed and a bit more special. On this Hug day you can do something different for your partner and make them feel their importance in your life. You can take your partner on a long drive and have a adorable conversation with a lots of hugs all day long and this can be the best option if your partner loves travelling. If your special one is a foodie then you can take him/her to the best restaurants and food stalls according to their choice which will be the best thing to do for them. If your partners loves to see you cooking then you can go for cooking their favorite dish at home which will show the devotion, affection, care and love you possess for your partner.